Does Philosophy Hold Crucial Insights for the Neuroscience of Inspiration? In a passage in Madame Bovary, Gustave Flaubert wrote one of history’s most beautiful descriptions of language: “Human speech is like a cracked kettle on which we beat crude rhythms for bears to dance to, while we long to make music that will melt the stars.” As a cognitive neuroscientist, I study how we read this sentence: How we decode it, analyze it, and importantly, infer its meanings and create new ones from it. Philosopher Charles Taylor’s work sheds light on the mystery of why we persist, epoch after epoch, trying to articulate thoughts and feelings that go beyond the limits of our words—to beat our kettles, aiming to melt the stars. Work in cognitive neuroscience depicts what the brain does as we read Flaubert and Taylor, and indeed almost anyone: decode, integrate, infer, analyze the meaning of their content, and sometimes, if we are very lucky, use their thoughts to germinate our own. It would seem that there are two disconnected stories here: one scientific and one philosophical. Yet when Taylor’s understanding of the purpose of language is connected to current studies of the reading brain, we can better grasp how the simple decoding of visual symbols can become the basis for the most sophisticated of human thought processes. After two decades of research on the reading brain, an insight came to me. Human beings were never born to read; we invented it. It is a remarkable biocultural caveat. Unlike other inventions—wheels and various physical tools—this invention quickly reshaped the biologically driven neuronal networks in our brain. 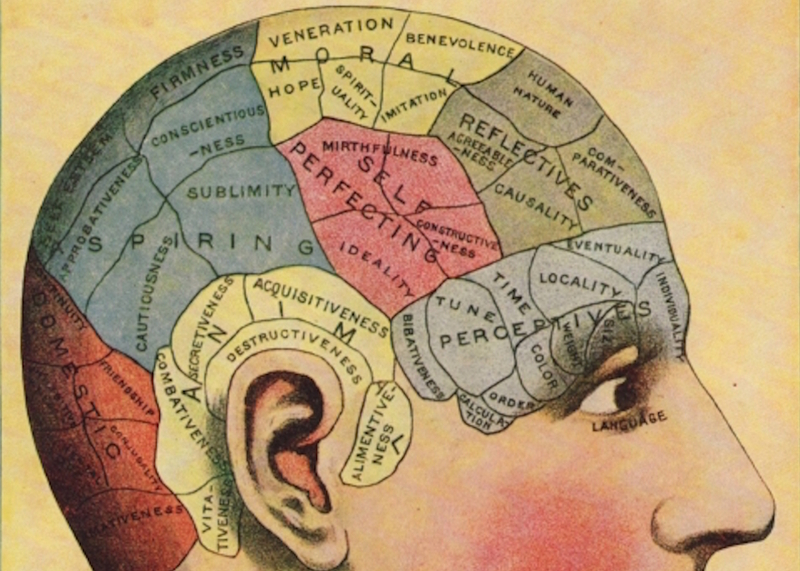 Reading necessitated the creation of totally new connections among some of the brain structures underlying language, perception, cognition, and gradually, even our emotions. And this changed our species. A reading brain circuit emerged which enabled ever more elaborate connections, giving literate humans a platform for the development of new thought. My own work on what is called deep reading explores the full panoply of linguistic, cognitive, and affective processes that we gradually learn to deploy when we read. With these processes, we furnish what we read with imagery and background knowledge, we analyze it critically, we empathize or search for its perspective, and finally we use generative processes that lead to insight and novel thought. Deep reading represents what Proust called that “fertile miracle of communication.” It’s what happens when readers use all their linguistic capacities to go beyond what is written on the page to generate their own best thoughts—sometimes new to them, sometimes new to the whole of humankind. Put another way, reading has altered the brain of each literate individual, propelled the intellectual development of the species, and given us a history of past knowledge as a readily available foundation for our future growth. The field of cognitive neuroscience asks how this can happen—cognitively, linguistically, and physiologically: How can the human brain learn a new cognitive function that has neither a genetically prewired program nor a prescribed set of dedicated structures (like the visual cortex)? From this view, the study of the reading brain helps us to understand how the brain learns anything new. We now know, for example, that the brain’s plasticity allows it to rearrange or make new connections among its older structures (like those used for language, cognition, and perception) and to recycle and repurpose neuronal groups within those structures to help us learn to read. Quite literally, neuronal working groups in the visual cortex that were originally dedicated to recognizing faces and objects have been repurposed to identify letters and letter patterns. It is here that Taylor provides a wholly different view of the evanescent dimension at the heart of language, both oral and written. Going back to 18th and 19th century German thinkers like Johann Gottfried Herder, Johann Georg Hamann, and Wilhelm von Humboldt, Taylor pushes us to consider the protean dimension within language that propels us to give ever more refined, precise word-based flesh and sinew to our thoughts. Humboldt wrote, evocatively, that within language there is always a “feeling that there is something which the language does not directly contain, but which the mind/soul, spurred on by language must supply; and the drive, in turn, to couple everything felt by the soul with a sound.” Taylor builds on that to say that “possessing a language is to be continuously involved in trying to extend its powers of articulation.” This constant yearning to articulate more and to find and express greater meanings is key to Taylor’s argument that language is a deeply human project. Taylor’s life-long efforts to articulate this ineffable, protean dimension at the heart of language have changed my own view of written language. In the past I struggled unsuccessfully to describe how our inferential and analytical processes prepare the reader for insight. Now, however, I interpret the entirety of the deep reading processes as part of the intrinsically human drive toward meaning: its discovery and its articulation. I think history bears this out. Over 50 years ago, before neuroscience was an established field, the first surgeons conducting split-brain research asked a linguist to help them ask the right questions as they studied the language structures of the human brain. Then, as now, our understanding of language and the brain can only progress when we are able to ask the right questions. In this moment, when the neurosciences are adding to an increasingly precise topography of language in the brain almost daily, we need the questions that Charles Taylor raises about the “shape, scope, and uses of language” to really understand what is going on. And, as Taylor describes and Gustave Flaubert’s “cracked kettle” metaphor exemplifies, whatever we find out will not be our last iteration of these processes. For, however narrowed by all our efforts, it is the gap, the crack, between language and human aspiration that drives us forward and gives our lives their unquenchable desire for meaning. Maryanne Wolf is the John DiBiaggio Professor of Citizenship and Public Service, Director of the Center for Reading and Language Research at Tufts University, and Research Affiliate at the Center for Advanced Study in the Behavioral Sciences at Stanford University. She is the author of Proust and the Squid: The Story and Science of the Reading Brain, and Tales of Literacy for the 21st Century. *Image courtesy of Crafty Dogma/Flickr.